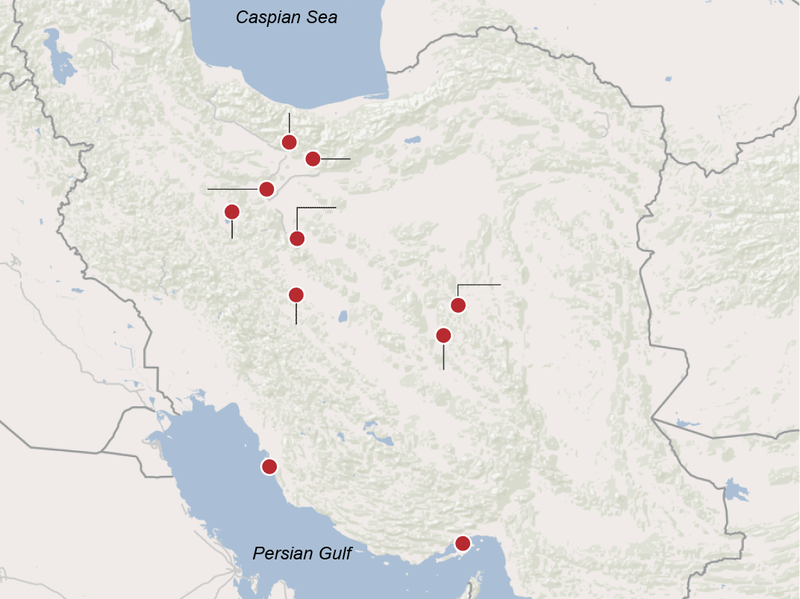 After two years of negotiations, representatives of Iran, the U.S. and five other world powers have reached a deal to curb Iran's nuclear program for 10 to 15 years. 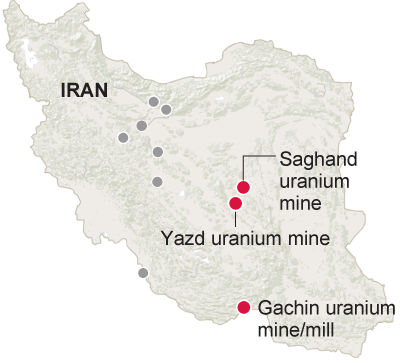 The agreement aims to sharply cut Iran's ability to enrich uranium and block its ability to produce plutonium, the materials that could fuel a bomb. 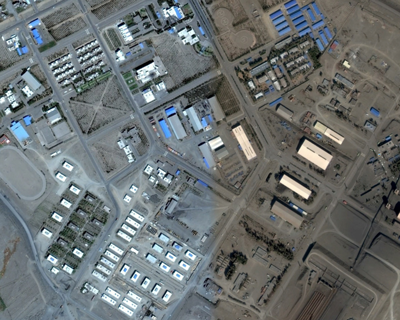 It also subjects Iran's unclear infrastructure and supply chain to extensive international inspections and monitoring. In exchange, Iran would get relief from sanctions that have damaged its economy. 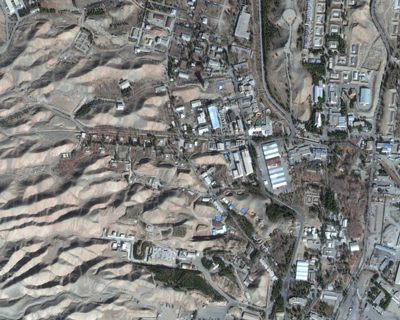 Iran's chief uranium enrichment site, the Natanz facility in the central part of the country, was built in secret. Its existence was revealed by an Iranian opposition group in 2002. It has two large underground halls, each with enough space for 50,000 centrifuges. 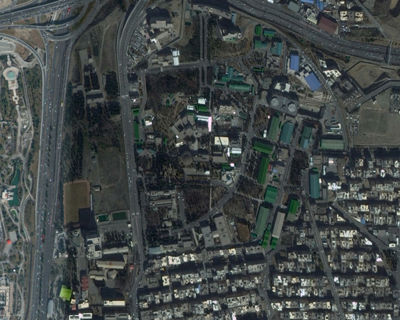 Above ground is a so-called pilot enrichment plant, where researchers work on more sophisticated centrifuges. More than 16,000 centrifuges have been installed. 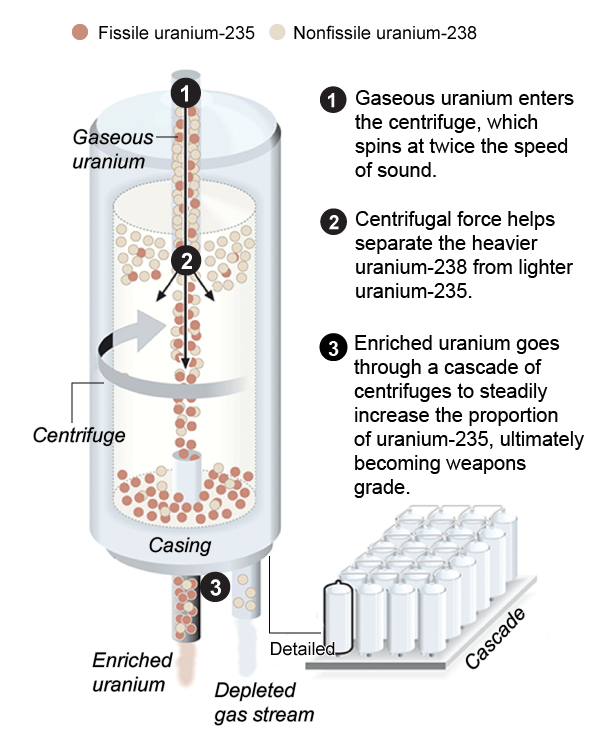 Under the deal, only 5,060 of the first-generation centrifuges will be operated for ten years. More advanced models will be removed and placed under international supervision. Iran also agreed it would not enrich plutonium over 3.67% purity for 15 years, the level usable in a civilian reactor, but well short of what is needed for a nuclear explosive. A deeply buried site that was built secretly, possibly as early as 2006, its existence was revealed publicly by the U.S., Britain and France in 2009. It has been of special concern to the U.S. and Israel because it is designed to resist airstrikes. It holds about 2,700 centrifuges in two halls; about 700 are operational. Under the deal, Iran has agreed to not enrich uranium, or have any fissile material at Fordow for at least 15 years. 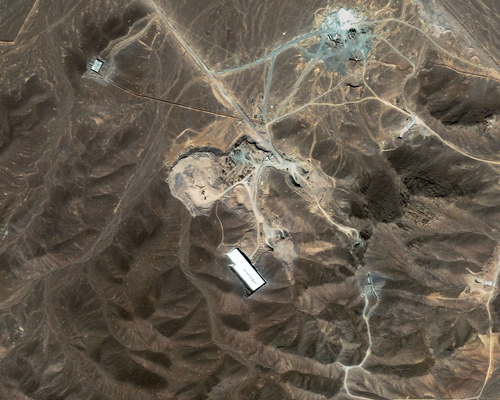 Arak is a heavy-water nuclear reactor, still under construction, that could be used to produce enough weapons-grade plutonium for two nuclear weapons a year. Under the agreement, the reactor will be redesigned so it cannot produce weapons-grade plutonium. The original core of the reactor will be destroyed or removed from the country. Iran will also ship all its spent fuel from the reactor out of the country. 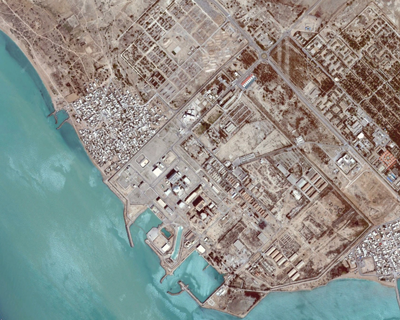 Bushehr is Iran's only nuclear power plant. Work began in 1975, and the facility began generating electricity in September 2011. Russia supplies the uranium for the plant. As a nonmilitary use of nuclear energy, it has not been a subject of the negotiations. 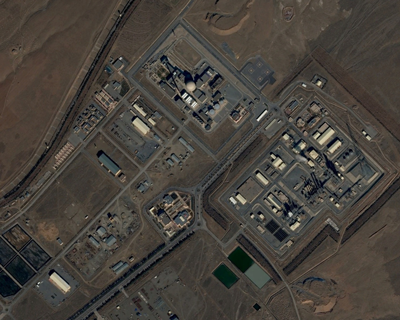 Iran operates four small Chinese-built nuclear reactors at a facility near Esfahan, and a plant that converts uranium ore to prepare it for enrichment. Southeast of Tehran, the Parchin site is dedicated to research in explosives, with hundreds of buildings and test sites. The International Atomic Energy Agency, the United Nations' nuclear watchdog, for years has pressed Iran for information on whether it has conducted nuclear weapons research at the site. 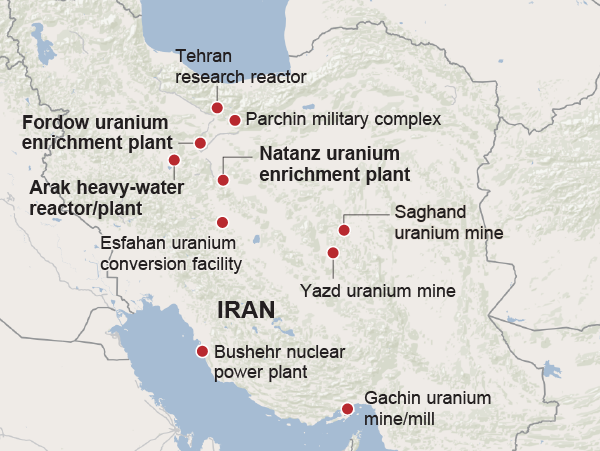 Under the deal, Iran has agreed to provide access to scientists and sites to resolve IAEA concerns regarding what it calls the "possible military dimensions" of Iran's nuclear program. 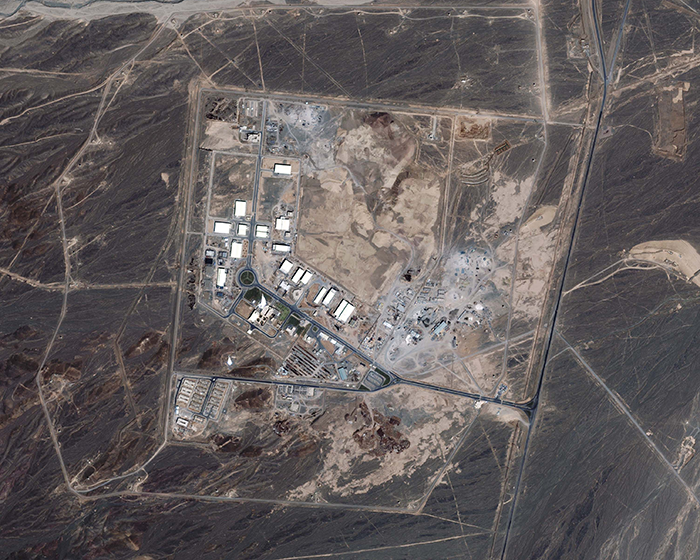 This aging reactor, supplied to Iran by the United States in 1967, produces medical isotopes. It is unclear whether its operation will be affected by the deal. 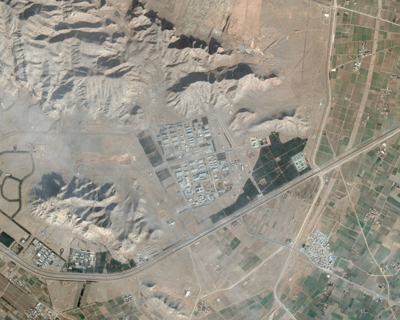 Under the deal, inspectors will have access to uranium mines and continuous surveillance of uranium mills such as Saghand (pictured above) for 25 years. Sources: Times reporting, EPA, Google Earth, International Atomic Energy Agency, Arms Control Assn.